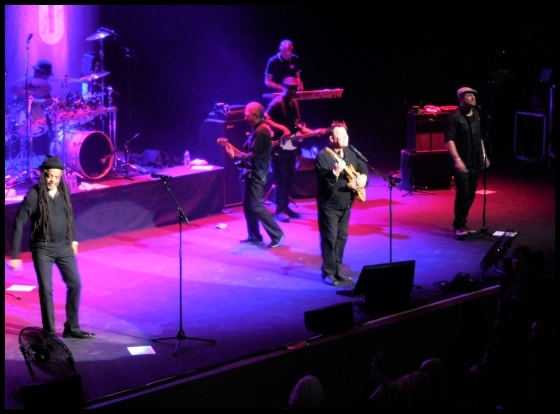 When the Gallo Center for the Arts in Modesto, California announced their new concert series for 2015, I immediately purchased tickets for UB40, a British reggae band from Birmingham, England. A fan of the group since the 1980’s, I had seen UB40 in concert several times back in the years when I lived in New England and the band was making a name for itself here in the US. 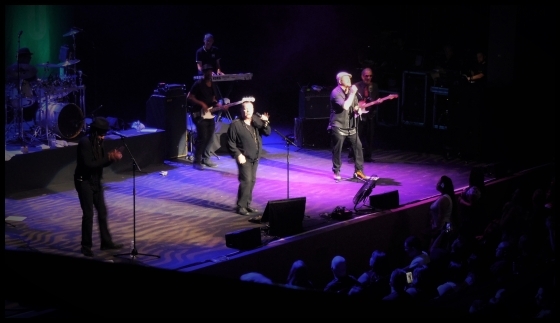 The bitter history and rancor between band members is well documented online but Ali Campbell, Astro, and Mickey Virtue, the emotional heart of the group in my estimation, would lead the group scheduled to appear at the Gallo and I was looking forward to seeing them on stage once again. 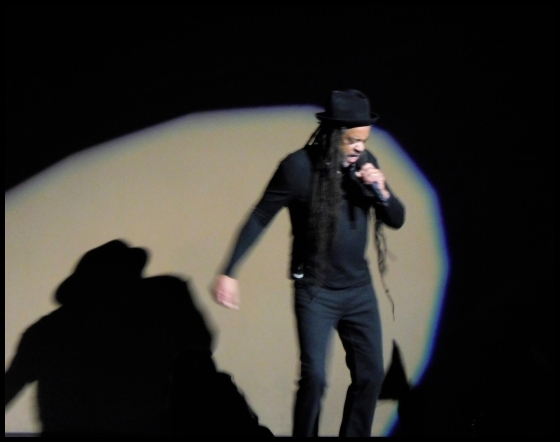 UB40 played the Gallo Center this past Friday night, October 9 and my wife and I attended the show. I was sorry to see the concert did not sell out but I was not surprised. 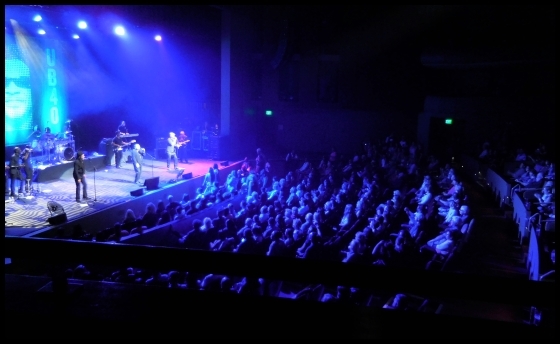 After all, Modesto is in the heart of the conservative Central Valley of California, and the Gallo Center is the premier concert venue in the area. Yet what the crowd might have lacked in size, they more than compensated for in enthusiasm and spirit. The band was nothing short of stunning. On the platform, Ali, Astro, and Mickey fronted the act, with band members behind consisting of a guitar and bass players, two keyboards, drums, and a trio playing sax, trumpets and trombone. 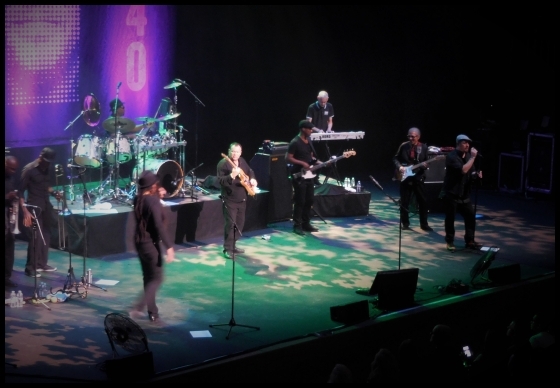 Undeterred at performing before a less than packed arena, UB40 gave everything they had to the audience; they poured their heart and soul into the performance and covered all their musical bases, from the classic hits to the new reggae recordings. The crowd was appreciative, raucous, and loud; they knew the material and added their voice to the chorus. After the band had finished a potent high-energy set, they waved to the crowd and left the stage. The excitement in that theater was tangible; in all the concerts I have attended at the Gallo, I have never heard an audience respond with the fervor and cacophony that I heard that night as the audience stood cheering, stomping, and wailing for more. The drummer reappeared on the dimly lit stage to a large ovation and after mounting his kit, raised his sticks to count off the downbeat. His dark form silhouetted against the backdrop behind the band, he proceeded to pound out a rousing solo as the audience cheered him on. 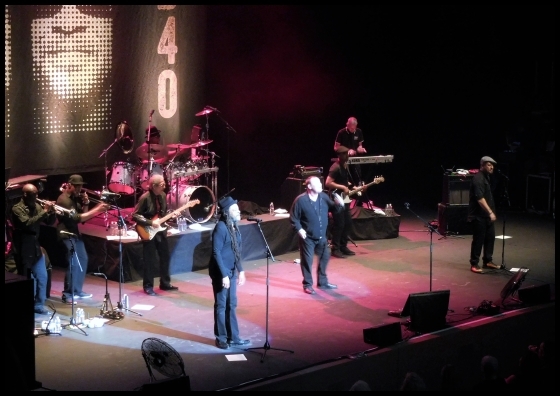 UB40 then reappeared on stage and the crowd was in a frenzy. The band launched into their first encore, a passionate high-voltage rendition of ‘Food for Thought (Ivory Madonna)’, and the crowd roared as one. The spirit, energy, and emotion surging through the concert hall clutched at my heart; it was nothing short of magical. I never could have imagined that I would experience one of my greatest live reggae concert moments here in Modesto, of all places. 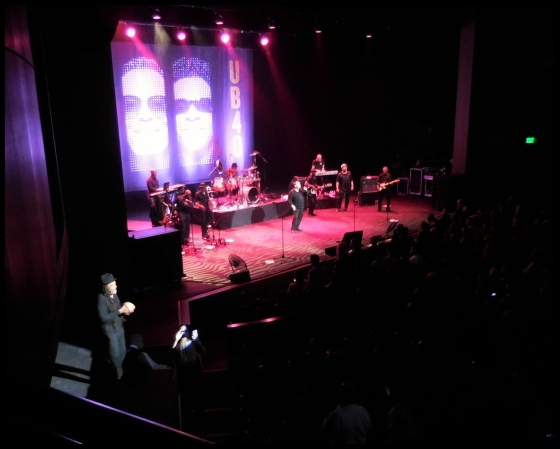 I owe a sincere “Thank you” to UB40 and the Gallo Center for the Arts, for making it happen.